Watch the acclaimed short from writer-director Niclas Gillis. Writer-director Niclas Gillis's short film Hold Me Down features a cast consisting of survivors of sexual abuse. The film is based on the experiences of Unique Adams, a single mother from the South Bronx, New York, whose experiences of childhood poverty and abuse lead her into prostitution in early adolescence. 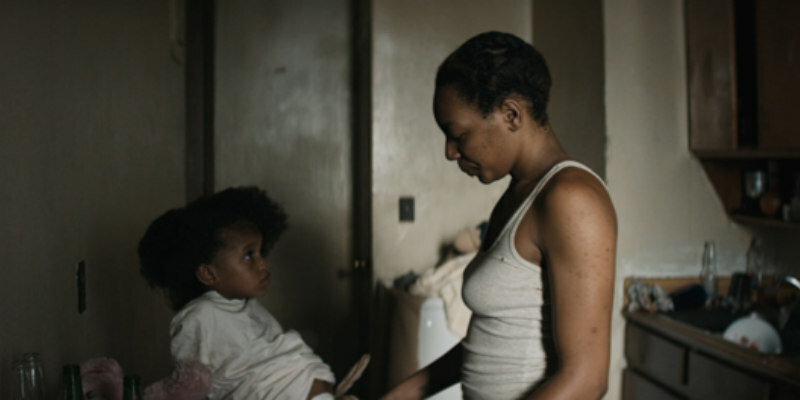 Hold Me Down depicts a day in the life of a 19-year-old single mother who works as a stripper at an illegal nightclub to support her child in the South Bronx. It is filmed in the locations where the events depicted actually occurred; in the Mott Haven Housing Projects and in an actual brothel, and features a cast of non-actors / women survivors of sexual exploitation and domestic violence. Thanks to a partnership with the NGO, Project Rousseau, the women involved have since been able to gain stability in their lives and are now pursuing higher education. “We wanted the women who really live this life to have the opportunity to tell their own story, to raise awareness of the conditions that they face and inspire change,” Gillis says. “This film will be our voice,” says Adams.